Directions: It is an easy drive from the Bay Area. Just take Twin Peaks drive, head all the way to the top on the zig-zag road and follow the signs to "Twin Peaks" along the way. 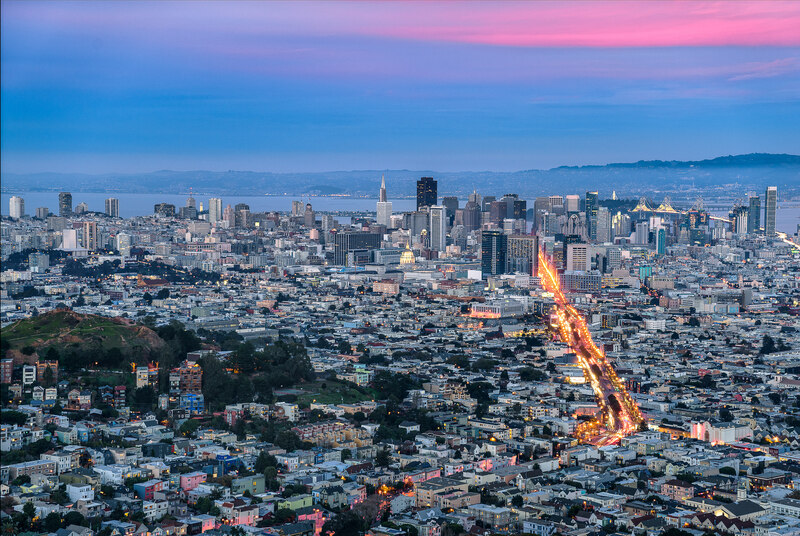 You can enjoy photographing the Bay Area from the two tallest peaks named “Twin Peaks”. At 925 feet elevation, you can get a great view of downtown San Francisco, Bay Bridge, Golden Bridge (only the tips) and many other famous locations. Twin Peaks are a world famous attraction, drawing hundreds, if not thousands of tourists every day. It is a stunning 180 degree view of the Bay Area, particularly at sunrise and sunset times. 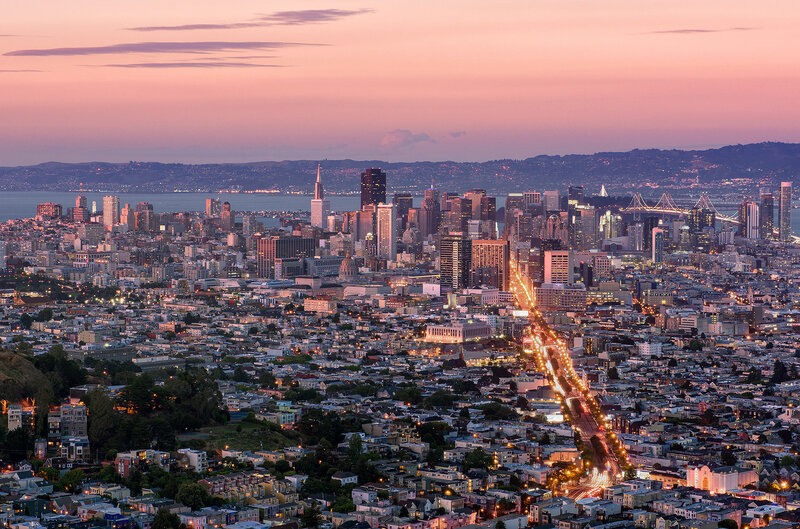 Bring a couple of zoom lenses with you to cover wider angles and telephoto (24-70mm and 70-200mm are ideal) for getting both wide and tight shots of SF. I would not worry about bringing ultra-wide angle and fisheye lenses, since this is an overlook and there is nothing in the foreground. A polarizing filter is a good idea to bring to reduce occasional haze. Thanks for this. We have 3 days in San Francisco in October and this is exactly the sort of information I was hoping to find.